1921 earned ₹ 0.02 Cr between day 29-35, Now Total Collection ₹ 15.94 Cr ! 1921 earned ₹ 0.30 Cr between day 22-28, Now Total Collection ₹ 15.92 Cr ! 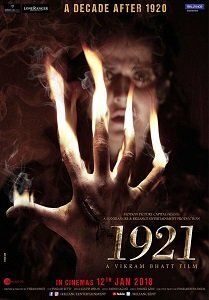 1921 earned ₹ 0.05 Cr on its 21st Day, Now Total Collection ₹ 15.62 Cr! 1921 earned ₹ 0.06 Cr on its 20th Day, Now Total Collection ₹ 15.57 Cr! 1921 earned ₹ 0.06 Cr on its 19th Day, Now Total Collection ₹ 15.51 Cr! 1921 earned ₹ 0.07 Cr on its 18th Day, Now Total Collection ₹ 15.45 Cr! 1921 earned ₹ 0.13 Cr on its 17th Day, Now Total Collection ₹ 15.38 Cr! 1921 earned ₹ 0.12 Cr on its 16th Day, Now Total Collection ₹ 15.25 Cr! 1921 earned ₹ 0.19 Cr on its 15th Day, Now Total Collection ₹ 15.13 Cr! 1921 earned ₹ 0.13 Cr on its 14th Day, Now Total Collection ₹ 14.94 Cr! 1921 earned ₹ 0.29 Cr on its 13th Day, Now Total Collection ₹ 14.81 Cr! 1921 earned ₹ 0.41 Cr on its 12th Day, Now Total Collection ₹ 14.52 Cr! 1921 earned ₹ 0.52 Cr on its 11th Day, Now Total Collection ₹ 14.11 Cr! 1921 earned ₹ 0.88 Cr on its 10th Day, Now Total Collection ₹ 13.59 Cr! 1921 earned ₹ 0.64 Cr on its 9th Day, Now Total Collection ₹ 12.71 Cr! 1921 earned ₹ 0.51 Cr on its 8th Day, Now Total Collection ₹ 12.07 Cr! 1921 earned ₹ 1.06 Cr on its 7th Day, Now Total Collection ₹ 11.56 Cr! 1921 earned ₹ 1.12 Cr on its 6th Day, Now Total Collection ₹ 10.5 Cr! 1921 earned ₹ 1.31 Cr on its 5th Day, Now Total Collection ₹ 9.38 Cr! 1921 earned ₹ 1.62 Cr on its 4th Day, Now Total Collection ₹ 8.07 Cr! 1921 earned ₹ 2.80 Cr on its 3rd Day, Now Total Collection ₹ 6.45 Cr! 1921 earned ₹ 2.09 Cr on its 2nd Day, Now Total Collection ₹ 3.65 Cr ! 1921 earned ₹ 1.56 Cr on its 1st Day, Now Total Collection ₹ 1.56 Cr !